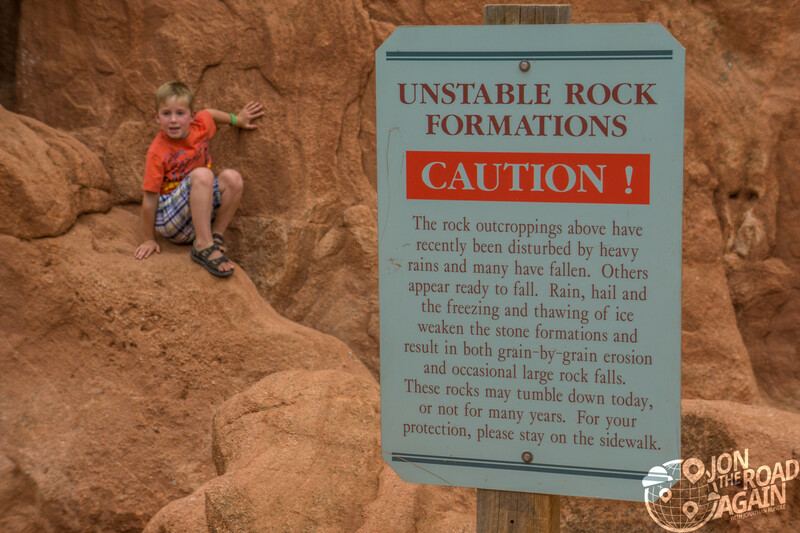 Garden of the Gods is a public park and National Natural Landmark. 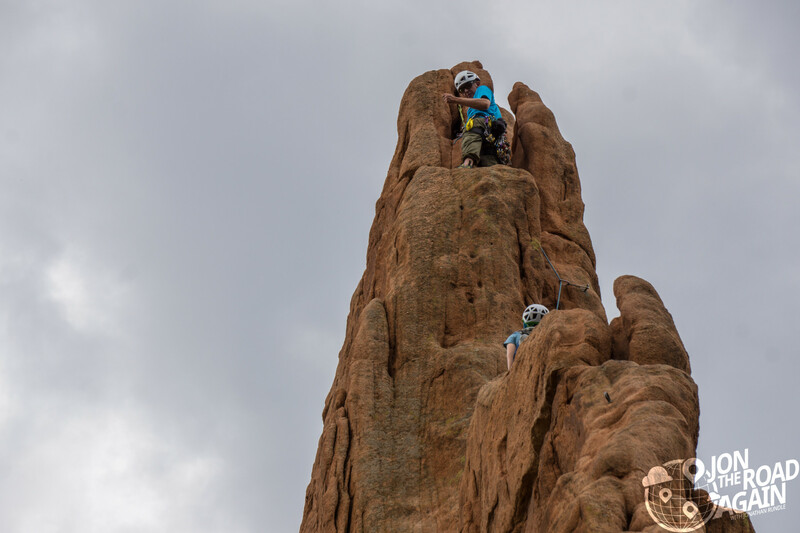 It is Colorado Springs’ #1 public park and a popular place for rock climbers. Located just 15 minutes northwest of downtown, the park welcomes 2 million visitors annually. On a beautiful day like today, the park and visitor center fill with inquisitive tourists like me. The visitor’s center offers a great panorama view of the park (with Pikes Peak in the background). Inside, there are really well done displays on the history of the rocks, the early inhabitants and suggested highlights within the park. It is worth your time to spend a half an hour in the center before continuing into the park. Take a moment to absorb the natural beauty that surrounds you. 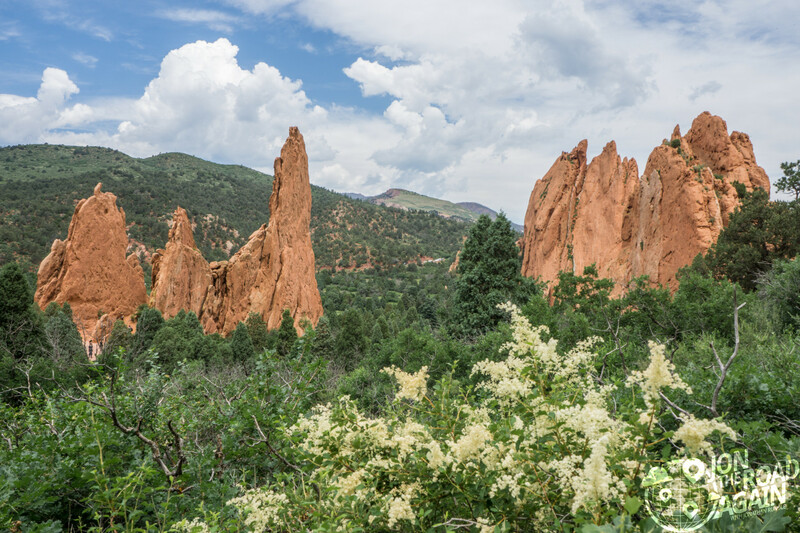 There are challenging hikes and wheelchair accessible paths which makes Garden of the Gods an easy way to explore the outdoors. 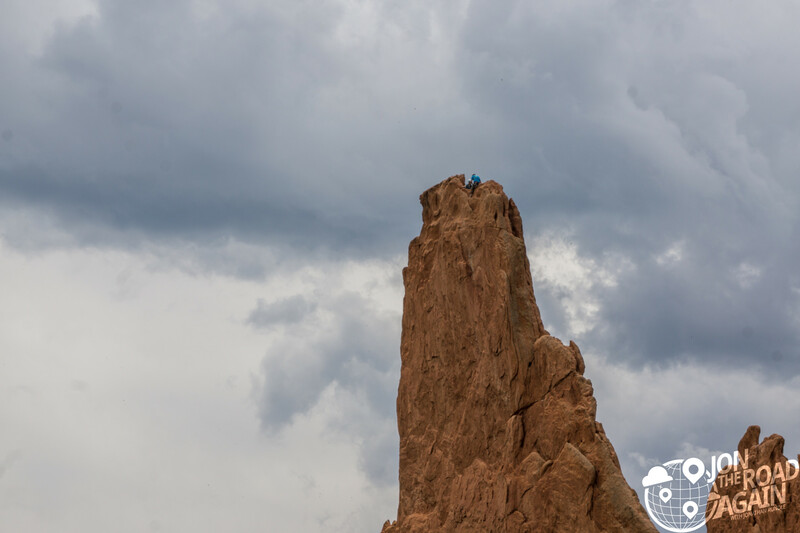 We spent most of our time walking along the Central Garden path, which included the Cathedral Spires, Tower of Babel, Signature Rock and Pulpit Rock. Getting around is quite easy. Paved paths make the park very accessible, all the while you can explore or take more challenging hikes if you so desire. These rocks are very popular with rock climbers and we saw many throughout the day. 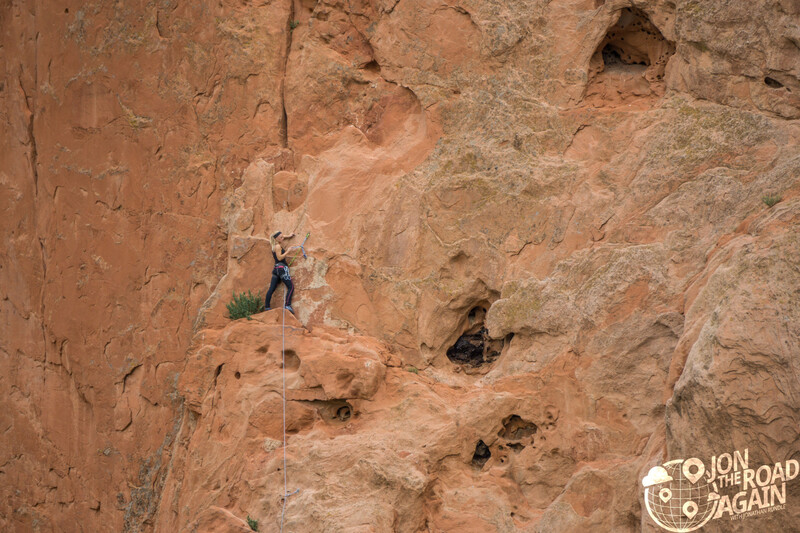 Climbing is free, you just need to register and wear proper gear and use the proper equipment. They say over 7,500 climbers get a permit every year. 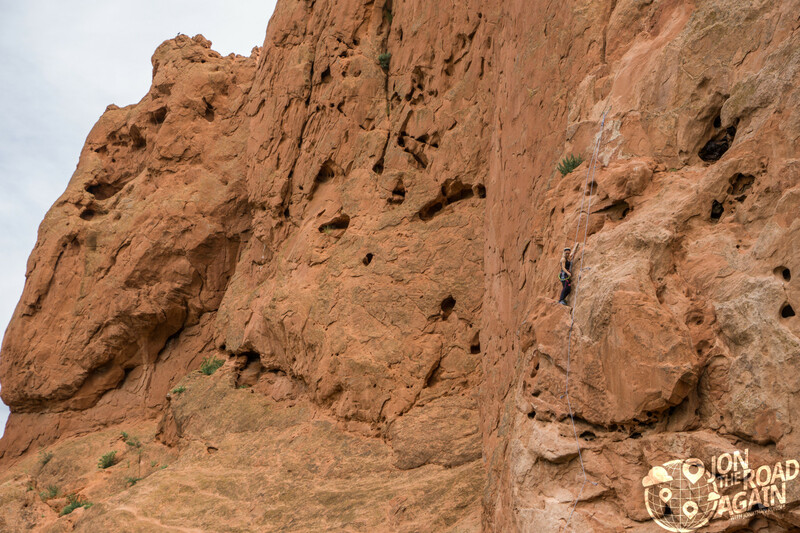 If you’re new to the area or just want to get your climbing fix as quickly as possible, paid guides can show you the ropes. Rock climbing requires a permit unless you’re a kid with inattentive parents in which case I say go for it. 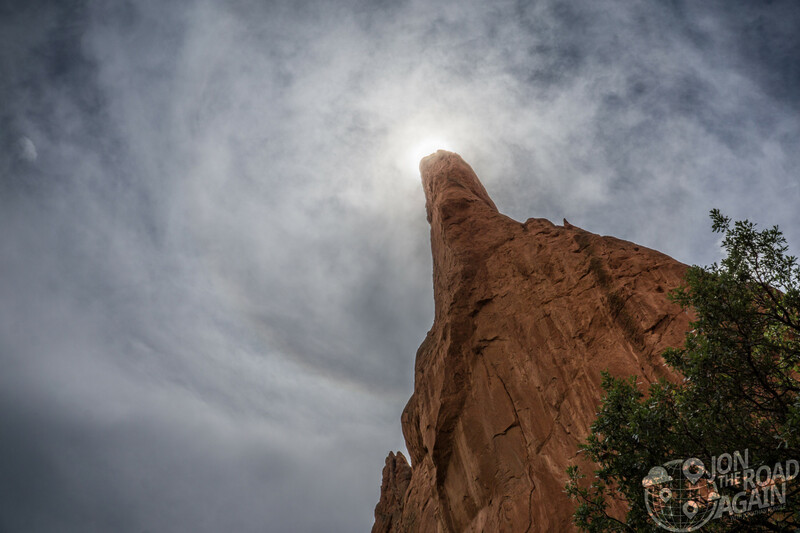 What is a National Natural Landmark? I had never before heard of a National Natural Landmark. It sounded like the junior leagues for National Parks. In many ways, I suppose it is. NNL’s are actually decided by the Secretary of the Interior, but they are not necessarily federally managed. In many cases, the land is private. 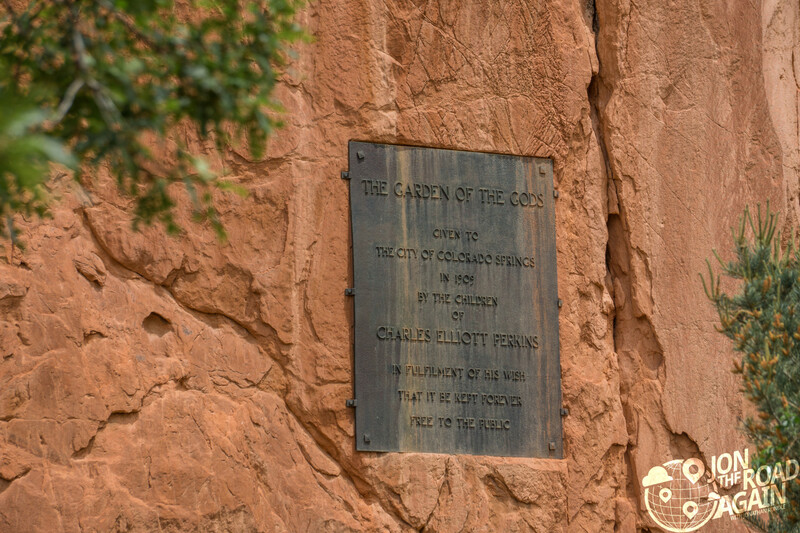 In the case of Garden of the Gods, the land was originally purchased by Charles Elliot Perkins. 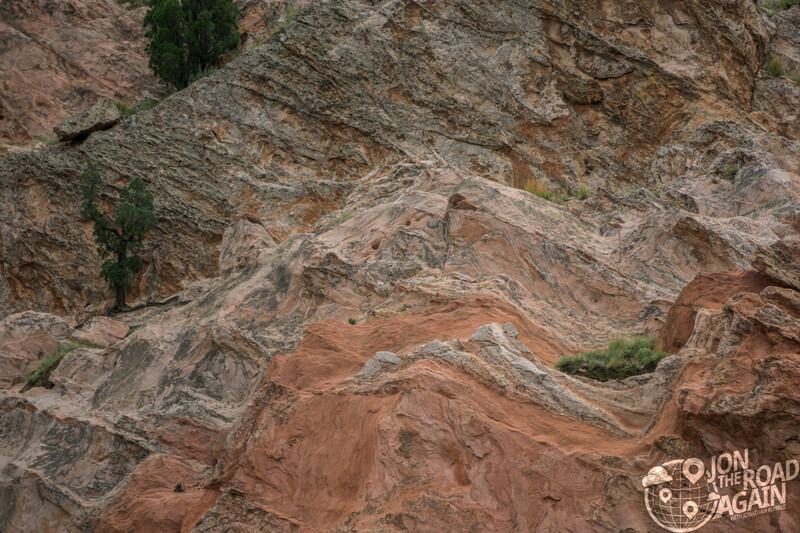 When he died in 1909, the land was gifted to the city of Colorado Springs with the requirement that it remain free to the public forever. Since acquisition, the city expanded the park from 480 acres to it’s current size of 1,364 acres. A plaque on the North Gateway Rock commemorates the original exchange. Check out the official website for admission and operating hours.